At Splash New Row we have the right beauty treatments to make you feel better about yourself and feel you good about your body. When you take care of yourself, you have a glow that shows on your face, and you will find a difference in the way you carry yourself.We can to provide great remedies and relaxing treatments to renew that glow. Splash New Row believes that having a relaxing time shouldn’t cost the Earth. 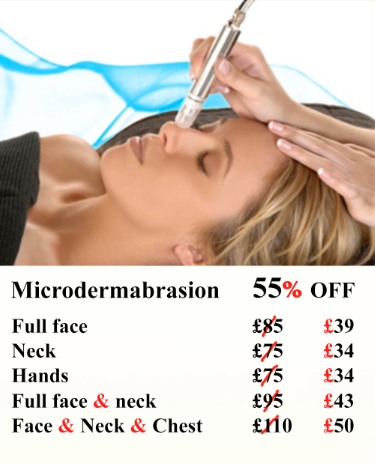 We have a great range of different beauty treatments to suit your needs. At Splash New Row we aim to be as flexible as possible so that you can get your hair cut or your nails done when you want to. Appointments are on a walk in and wait basis, during our opening times. We are also open until late most nights. Massage treatment – This is a very popular beauty treatment for the body. There are various techniques that benefit different parts of your body and skin. A body massage also increases mental well being and relaxation. After this treatment we can apply a great range of different body moisturisers. Facials – A facial can stimulate different parts of your face, help you to relax and also restore skin to top condition after the daily exposure you receive to the elements. We have lots of techniques to help you relax after a hard day/week. Come to our salon to book in with one of our team. Manicure– This is a great treatment for the hands, fingernails and cuticles. We can apply different moisturisers and nail polish with this treatment. Deep cleansing facial, incorporates extraction and soothing mask to revitalize skin. ©2017 SplashSalon - All rights reserved.